All the team of Urban-Resources is pleased to welcome you in this resource fund devoted to architecture, photography, industrial archaeology and urban exploration. Urban-Resources also publishes facsimiles in PDF files. Urban-Resources joined the Amazon Associates Programs which give you the opportunity to order. By ordering, you will support Urban-Resources to give you the best in books and films. 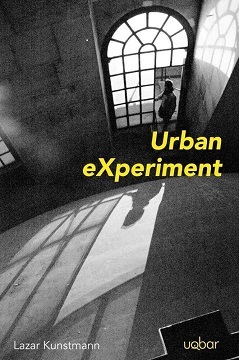 More than 25 years of urban experiment in Paris. 25 years of cultural clandestine action by Lazar Kunstmann the spokesman for l'UX. The ultimate book about underground Paris. Presenting many of Walker Evans' photo-essays in their entirety. Third and final volume of this indispensable resource on photobooks. Visual tour of neon light in New York City.